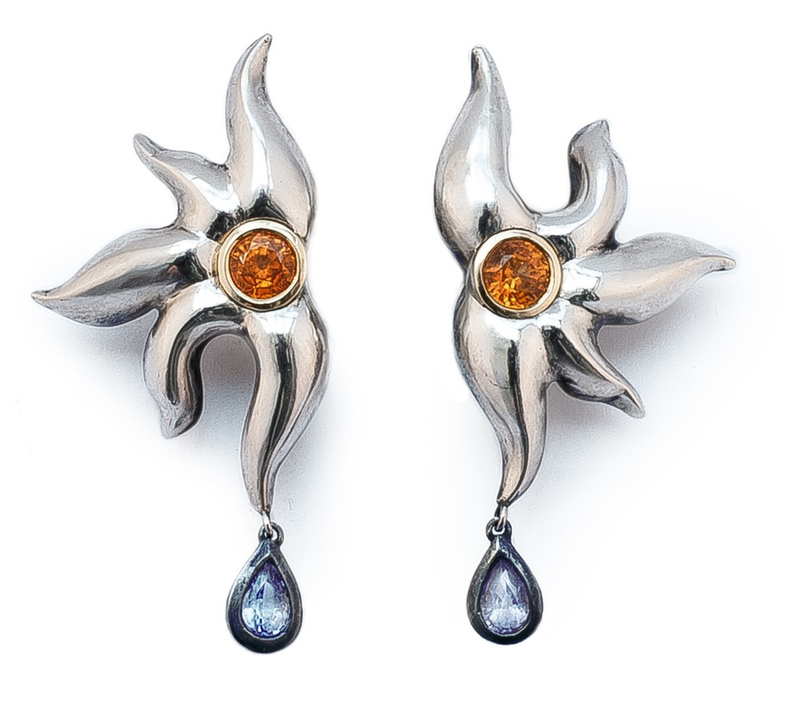 Earrings in sterling silver with tanzanites and mandarin garnets set in 18 carat gold. Two halves of the brightest star, two soulmates, two guardians of the shining beacon of love. Ring in sterling silver with fancy sapphires. Central orange sapphire set in 18 carat yellow gold. 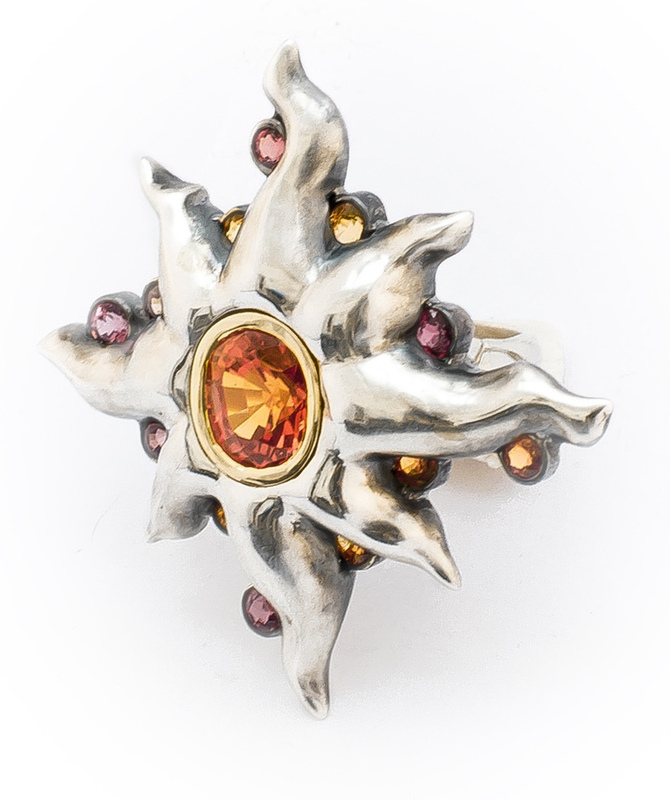 Flaming gem at the heart of the ring reminds its wearer of the all-consuming passion of one’s Love. Scattered fancy sapphires sparkle teasingly, adding mischievous air and joy.